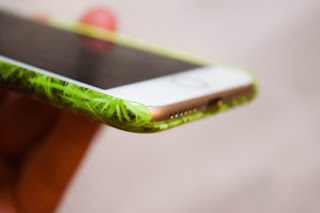 Phone cases do more than protect your phone from drops and knocks now. Apart from their primary use, they're a way to express your interests and personality, and a canvas to showcase creative art works. 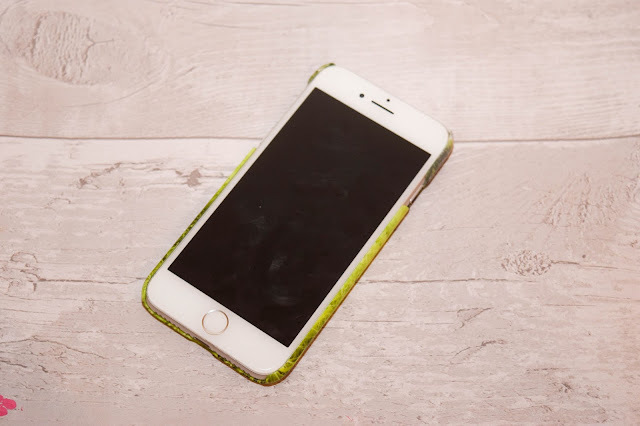 I've always loved collecting phone cases and had some great ones for my iPhone 6S, but since I got my iPhone 7, I've only bought two; a rubber case with purple flowers from Tesco (not very me at all) and my Christmas flamingo one from Skinny Dip. With my Tesco one falling apart, it was time to get a new one and one that could express my personality or interests. 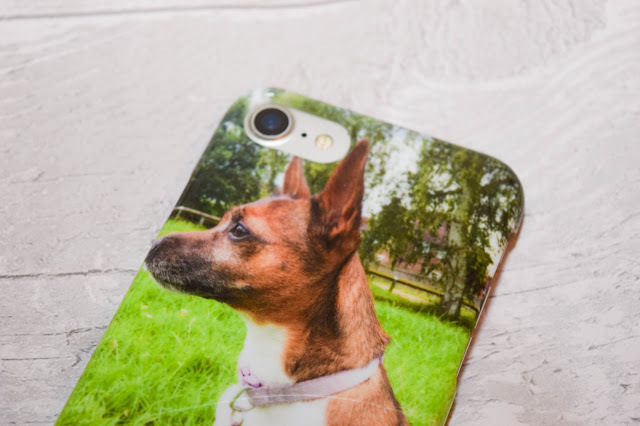 So when the opportunity came to review a personalised case, I took the chance and created the cutest case I've ever had! 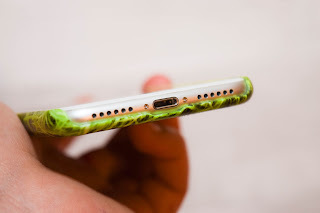 I've come across My Personalised Case before and had personalised cases before - but not from here. So when the opportunity came along I knew I wanted one with my darling Dolly on it. I searched into the depths of my laptop and then into the depths of my old laptop too for the best photo of Dolly I could find and found the this one. I chose this photo because it's one of my favourites of her. She's such a people watcher and here she was having the loveliest day in the park watching people and being a happy doggo. I chose to get this photo on a full wrap hard case. It was between this one and a silicone one but I've had a silicone one for so long, I wanted something different. I did contemplate a tough case but I've had one before and don't like the chunkiness of it personally, but it's a great choice if you drop your phone sometimes. The hard case comes in matt or gloss too and I loved the idea of a glossy photo wrap and so that swayed my decision to get the hard case. Personalising the case on the website was so easy to do. There are so many options including adding text on top and 'collage-style' designs for multiple images. I nearly did this because at first I found it hard to pick just one photo of Dolly to use, but I didn't like the finished look. It felt too 'messy' for me and so that's when I decided on one photo instead. In just a few days, the case was at my front door and my first impressions were all positive. I mean the detail was all there. 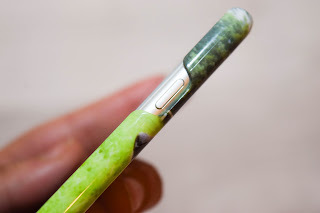 It wrapped beautiful around all the component of the phone and clipped in beautifully. The case is good quality and pretty strong! It doesn't feel flimsy and I really dislike flimsy feeling cases. 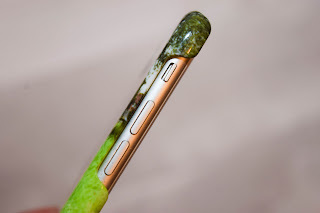 I could even spot the littlest details like the fact that the photo wraps to every visible edge of the case. The photo quality is perfect and the colours are beautifully bright too. On first impressions, I have no complaints at all! So... how did it hold up after a couple of weeks? I've been using this case for about two weeks now and it's still in great condition. I bump my phone a bit sometimes, so I did get a couple of very light scratches on the top but it hasn't compromised the case at all. The scratches can be felt but not seen unless you hit the light right. And none of the photo has been scratched off at all! I'm so impressed with how the case has held up and I've had so many compliments on it already. So much so that my dad has been asking me to get him one for his phone since he likes mine so much! I know this is a collaboration post but seriously, I do love this case and I definitely think it's worth it. 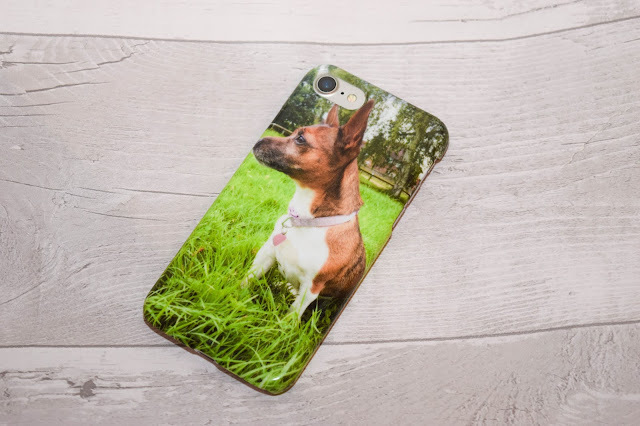 These personalised phone cases are decently priced and come in a variety of case styles for your every need. 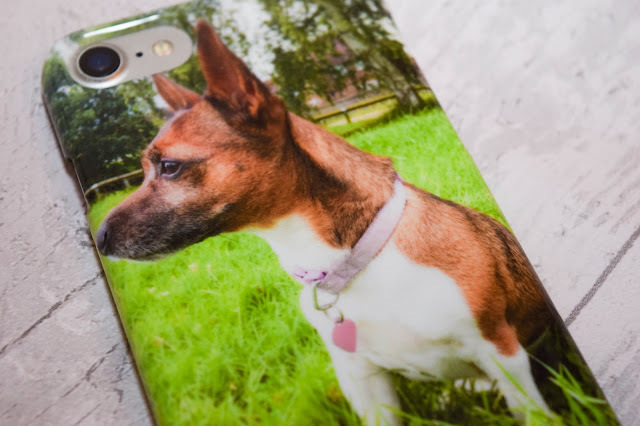 The website is so easy to use and you can design your next phone cases into one that helps you express yourself in just a few easy peasy steps. I'm even thinking of getting another one with a cactus design I want to draw up. 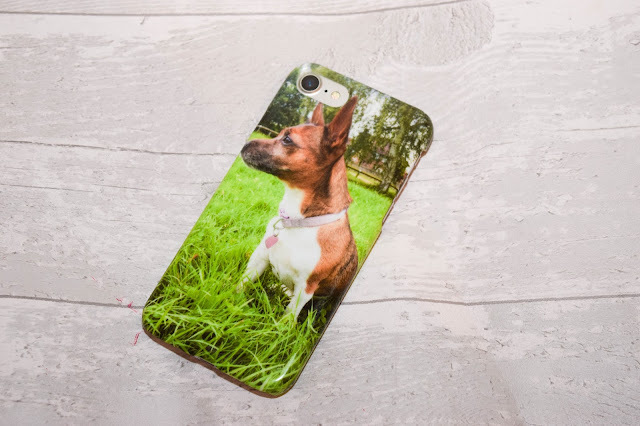 If you'd like to make your own phone case, all you have to do is follow the links to MyPersonalisedCase.co.uk! What photo or design would you have on your case?